Ducklings In A Row - Hair + DIY Tutorials: 2014 Homie Awards - Have You Voted? 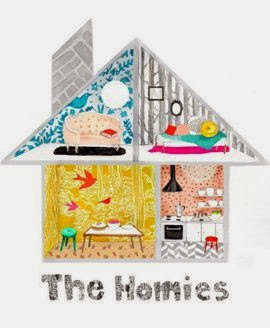 2014 Homie Awards - Have You Voted? When I was in ninth grade, I ran for class president. In my speech I said my own name wrong. It goes without saying that I lost, so you can understand how nervous I am about asking you to vote for Ducklings In A Row in the 2014 Homie Awards over at Apartment Therapy. Nominations are being accepted until Friday, so if you enjoy reading Ducklings In A Row, it would mean a lot if you headed over here to register and then vote. Go ahead, I'll just be over here in the corner applying topical benadryl to my nerve-induced hives. Thanks!